There are right ways and wrong ways to do anything in life. For example if you go to a BBQ restaurant and order kale you are doing it the wrong way. If you drive a Pontiac Aztec you are doing it the wrong way. This entry was posted in Theme Park Life and tagged Disneyland, it's a small world, Walt Disney World. Bookmark the permalink. What a not awkward ride. 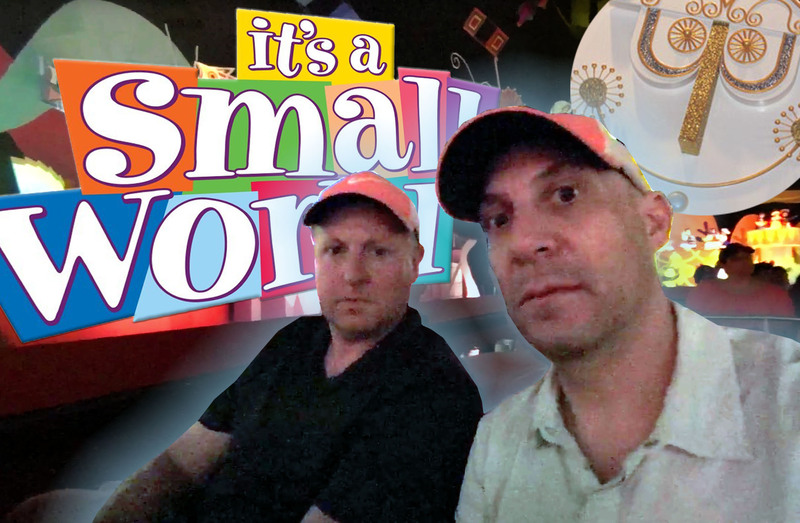 No, two guys silently riding Small World together… not awkward at all. And remember, there is nothing wrong with that! Next time, wait until you get about halfway through the the ride, and then start freaking out like Dustin Hoffman on Rain Man. When you get to the end, act normal and get off the ride like nothing happened. I triple dog dare you. Lol! No one said it was a competition Dean! Still… we win.